His label named it Polka Party!. Where did you hear this? I've heard Al say it was named in homage to the Frankie Yankovic album of the same name. 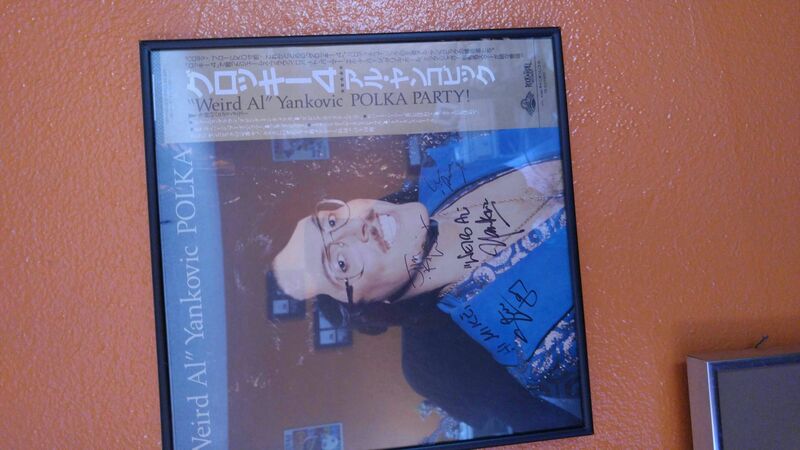 Also I'll add in a picture of the Japanese version of Polka Party. When I showed Al he said he had never seen it and took it over to Jay Levey and asked if he had ever seen it. What happened to his scalp?? Oh yeah, I see it now. That was weird. Who did the banjo on this Polka? Steve did it on In Polkas On 45 and Hooked On Polkas but I know Jim took over banjo for Hot Rocks Polka onward. Anyone with new liner notes for Polka Party! want to tell me if it was Steve or Jim on this. Nevermind folks, double post. Found it. Steve did the banjo on this and Jim took over banjo duty on Hot Rocks Polka. I wonder if anyone ever took one over the head though.